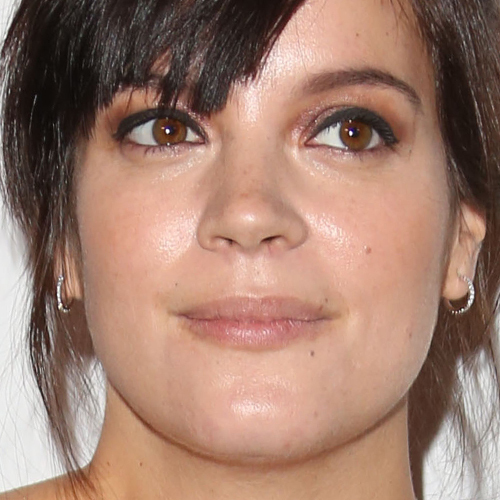 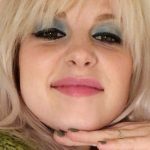 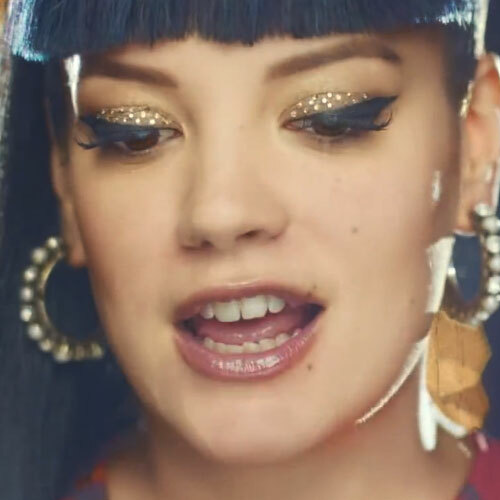 Lily Allen applied jewels above her black winged eyeliner which she wears throughout her “Hard Out Here” music video. 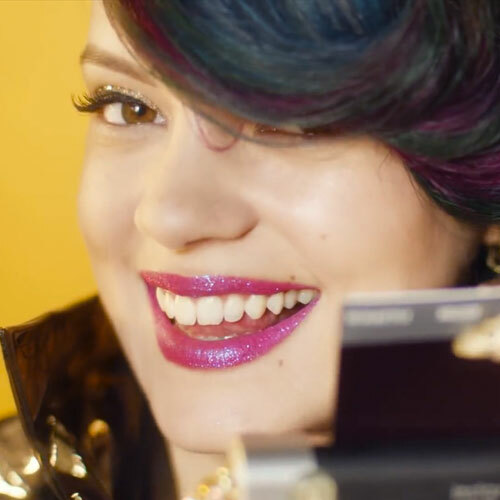 In this scene she also has a coral/red lipstick. 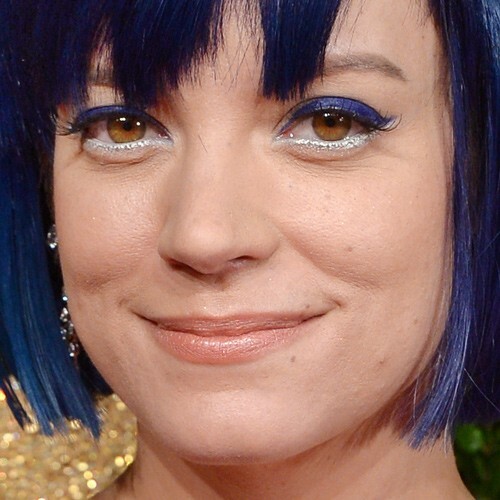 Lily Allen aka Lily Cooper arriving for The British Fashion Awards 2012 held at The Savoy in London on November 27, 2012. 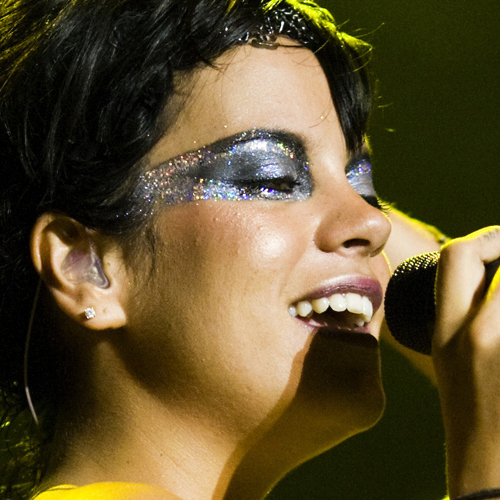 Lily Allen performs onstage at the Way Out West festival August 15, 2009 in Gothenburg, Sweden.